Property Chains Slowing You Down? Are you currently stuck in a sluggish property chain which is preventing you from moving forward in your life? You’re not alone. With an estimated 300,000 house sales each year breaking down due to complications involving property chains, we can imagine that you’ve had enough of waiting and want to break free. It’s a demanding, frustrating and expensive experience and being stuck in a chain can cost on average up to £3,000 with legal costs and fees. Right now, you may be seeking a swifter and simpler resolution to selling on the open market, avoiding the pitfalls that come with it. On average it takes five months to sell via this route, and it’s been revealed that the outlook for the UK’s property market in the first three months of 2019 is the worst since 1998 – making things even tougher. With confidence in the market low, the Royal Institution of Chartered Surveyors (RICS) has estimated that 28% of house sales will fail. Why are more house sales falling through? One of the most common reasons for house sales falling through is the unreliability of property chains. As the success of each property transaction on the chain is influenced by activity further along the chain, if something goes awry, it can affect your sale – from grinding progress to a halt, to causing a complete collapse. Whether you’ve found your dream house and can’t complete the transaction until you’ve sold or are keen to sell to free up some funds, it can be tough to sell in these current conditions. However, it can be equally frustrating just waiting for the increasingly unlikely to happen. Fortunately, the inefficiencies of the property chain have led to several alternatives for home-sellers. 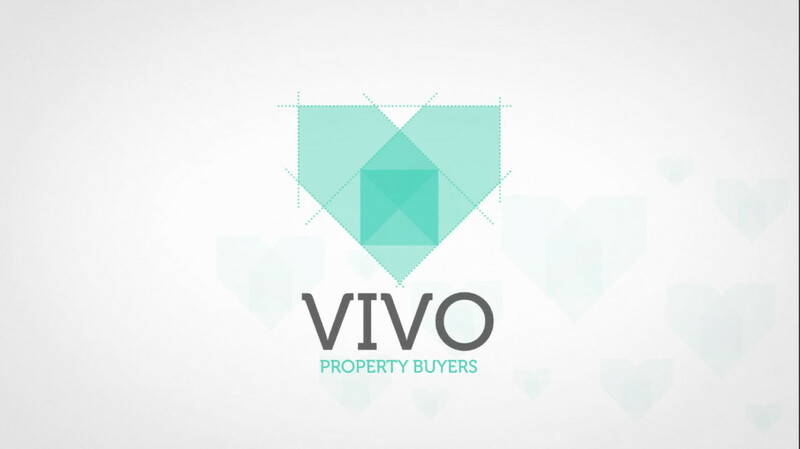 How can Vivo Property Buyers help you? As specialist fast property buyers, we can buy your home in as little as 7 days. No more waiting on the chain, just clarity and peace of mind that comes with a guaranteed sale from chain-free buyers. But how are we able to do this? We’re happy to offer sellers an escape route from their chain, allowing them the chance to move on with the next stage of their life. 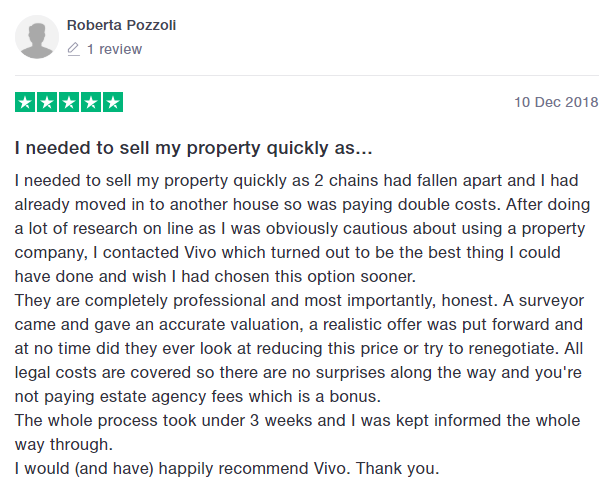 If you’d like a chain-free resolution to your house sale, get a free, no-obligation offer from Vivo in just 24 hours. Perhaps, you’d just like some friendly advice from us on your situation, and we’d be happy to help too, just call our freephone number 0800 773 4922. We look forward to hearing from you.